You may choose to work with the employer or agency to resolve your disability benefit issue and you are encouraged to do so. Once the entity refuses to cooperate any further however, having an expert disability lawyer advocating for your needs and working with the employer may help expedite your claim. For non-SSD issues, the disability lawyer can help you litigate, if necessary. SSD issues are not resolved in a court of law, like other legal matters. Instead, you will be granted a hearing with an administrative law judge that is the equivalent of a bench trial. Not every lawyer will be familiar with these proceedings, so it is in your best interest to find an expert Social Security Disability lawyer that will handle your case with professionalism, explain the distinctions and procedural matters of the case, and help you file for an appeal if necessary. 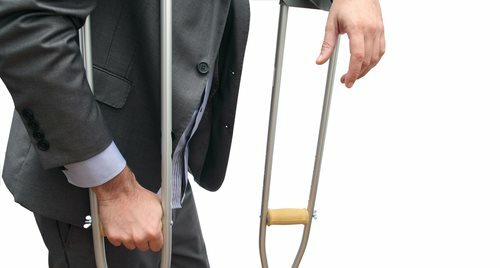 Any tax-paying individual should collect their disability payments if they are injured and cannot return to work. It is important to note that if your injury was caused by unsafe conditions or an accident, you may also be entitled to compensatory damages through personal injury litigation. All Americans are entitled to SSD benefits through the payment of the FICA tax. How can I determine if I am eligible for disability benefits? You will need to analyze the terms of your employment contract as well as other agreements the employer has made with the employees that are legally binding. A disability lawyer can help you analyze these documents to determine if you are indeed eligible for benefits or if the employer is obligated by law to provide you with benefits. Where can I find a disability lawyer? You may use this website to find a disability lawyer. To do so, use the search box on top of all pages. You may also compare lawyers and ask free questions by clicking Find Lawyers on top of the page. State and local bar association directories will be your best resource to find a reliable disability lawyer. These disability lawyers will be subject to stringent codes of professional and ethical conduct, ensuring that you have quality legal representation. Lawyer referral services are available in every state and most counties, so note the criteria used to evaluate lawyers in the service before accepting the service. In many cases, there will be a fee involved for a referral as well. The fee may or may not cover the cost of the initial consultation. For Social Security disability cases, disability lawyers will face government scrutiny for the fee arrangements and ensuring they do not exploit the client. What are the fees charged by disability lawyers? For social security disability cases, there is a hard limit on attorney fees and the arrangement will be reviewed by the administrative law judge. Cases that are more complicated may involve a higher limit on the fees, at the discretion of the administrative law judge. Cases involving worker’s compensation and other disability benefits will be subject to state laws limiting contingency arrangements, usually a monetary or percentage cap past a certain threshold. Should I choose a local disability lawyer over a national option? SSD and disability benefit cases are a legal matter that lends itself to large, national law firms with several offices, assisting clients all over the nation with their legal matters. A large firm with experience and tremendous resources will be useful to some, but others will prefer a local law firm to deal with their legal matter. There are a number of advantages to this, especially the ease of communication afforded by having the lawyer within easy distance so that you may meet with this lawyer face-to-face, on your own terms. Comparatively, the large firms that do not have a branch near you will dispatch a lawyer to meet with you, but you will largely communicate with that lawyer by phone or electronic communication prior to the hearing. What services will a disability lawyer offer? Communication with the disability lawyer is very important as this will prevent important deadlines and commitments from being missed. The firm will needs to coordinate and communication with the government, employer or agency on your behalf. Failure to communicate may jeopardize a potential settlement and unnecessarily lengthen the legal or application process. Objectivity is also critical when dealing with a disability lawyer. A lack of objectivity on the part of the lawyer will impact your understanding of your situation, which will be detrimental to your chances of a fair settlement. The best disability lawyer will evaluate your claims on their merits and be honest about your chances of avoiding or defeating the litigation. Can you explain the fee arrangement to me? Do I need to sign and certify the agreement before we proceed to the hearing with the government? What is your experience with disability law, specifically my circumstances? Does this law firm offer litigation services if we must pursue the claim in court? In the event that the government denies your social security disability claim, a social security disability lawyer can help you to defend and prove your claim. Social security disability lawyers are trained and experienced in the process needed to work with the government to secure or appeal a claim. A social security disability lawyer will charge fees but these fees are limited, by law, to 25% of the award, not to exceed 6,000 dollars. This process is profitable to social security disability lawyers as most individuals applying for disability will use the services of a social security disability lawyer. Social security disability lawyers will make claims regarding the lack of hassle with using their services and promises to work with the government on your behalf. Be aware though that most social security disability lawyer firms will prescreen claims to determine their validity. If they do not feel you have a legitimate claim for disability, then they will not take the case. Many social security disability lawyer firms will offer free consultation to evaluate your case, so be sure to take advantage of this service when available. With knowledge of the federal limits on lawyer collection of awards, be mindful of lawyer fees and get all fees in writing from the social security disability lawyer. There are a number of good reasons to retain the services of SSI disability lawyers. Only 36% of initial claims are approved by Disability Determination Services, so a disability claim lawyer is necessary for subsequent reconsideration determinations. SSI disability lawyers are familiar with the steps of the lengthy appeals process and can guide clients through the steps to have their claim reconsidered. In the event that all steps of the appeal process are exhausted, you may, with the advice of the disability claim lawyer, pursue the case in Federal district court. In this way, you may attempt to circumvent the decision of state authorities, although this does not guarantee your claim by any stretch. The wait times for each process varies by state and SSI disability lawyers will be able to inform you on typical cases in the state and what you can expect in the process in regards to your claim. The easier it is to prove the disability, the better the chance that the disability claim lawyer will be able to secure disability payments in the initial determination stage. An SSI disability lawyer uses a number of criteria before deciding to help a client pursue a claim. The first factor social security disability lawyers take into consideration is the payment of FICA taxes. The federal insurance contributions act (FICA) tax funds SSI disability, which makes the payment of it the baseline requirement to collect disability. Social security disability lawyers will then look into the claimant’s background, checking work history and other factors related to the current disability. Finally, a SSI disability lawyer must make a determination about the severity of the disability and if a genuine claim could proceed, with success, before the state DDS board. If the SSI disability lawyer does not believe the factors for a successful claim exist, then the claimant must attempt the claim himself, or seek out other social security disability lawyers that believe he has a change of winning disability claims. If you decide to make a claim for Social Security Disability insurance and are considering a lawyer for Social Security Disability, then you have made a correct decision. Especially when appealing initial decisions, most individuals that seek Social Security Disability must demonstrate the need for such government assistance. A lawyer for Social Security Disability will not only be able to manage your claim, but also inform you of possible outcomes and the strength of your case. A lawyer for Social Security Disability will also be able to discern weaknesses in your claim and the ways by which the Disability Determination Services will disapprove your claim. Especially when seeking an appeal, it is best to have a lawyer for Social Security Disability. The process by which to receive disability payments under the Employee Retirement Income Security Act will sometimes require the services of ERISA disability lawyers. ERISA disability lawyers can analyze your current insurance policy with ERISA provisions and determine if you are entitled to compensation under the conditions of the agreement. If ERISA disability lawyers litigate and successfully prove that the client needed the insurance, the suing party may be able to recover attorney fees from the defendant as well as the expected disability payments. For those that are unsure of their ERISA eligibility, ERISA disability lawyers usually offer free consultations and case evaluations that will be able to clarify and analyze a case. With the expert opinion of good ERISA disability lawyers, the claimant should be able to receive the insurance payments, provided that the conditions states within the insurance policy are met. In the event that military benefits are withheld from a veteran, military disability lawyers are available to help guide clients through legal and procedural matters to receive their proper benefits. Veterans disability lawyers are specialized, usually with extensive knowledge of VA law and benefits structures for veterans. Typically, veterans with disabilities may qualify for as much as 3,100 in benefits on a monthly basis. To receive the ideal amount of compensation for your needs and qualifications, military disability lawyers can decrypt government regulations and make a claim at a local VA office. If the claim does not proceed satisfactorily, veterans have a right to a hearing and may appeal as high as the court of appeals for the Federal Circuit. As of 2007, veterans may now hire veterans disability lawyers to assist them with the process of filing claims and appeals. Therefore, while the extent of experience with actual veteran’s disability claims may be developing, there still remain many veterans disability lawyers that are knowledgeable to assist those unacquainted with the system. -	The disability occurred while in the armed forces is directly connected to the service in the armed forces, thus making the government responsible for disability compensation. Military disability lawyers will be able to build a case around these three conditions and tackle the long process of hearings and appeals that may accompany such a claim. Veterans are urged to retain veterans disability lawyers as these lawyers will substantially improve the chances of a favorable outcome for the veteran. When assessing the qualifications of a military disability lawyer, ensure that they are knowledgeable about the process and prepare to file appeals on your behalf should the initial claim be denied. The military disability lawyer should be aware of federal limitations on the fees these lawyers can collect and their specific role in the process. The function of disability claims lawyers are to assist those in need of disability insurance assistance receives their benefits in accordance with law or other related agreements. Only 33% of applicants for SSD Insurance will be approved without an appeal. The disability claims process is lengthy and bureaucratic in nature, which is why an expert disability denial lawyer is useful in navigating the system and filing the proper appeals to continue the case. Disability claims lawyers will typically need to prove that the client is not only entitled to the benefits by paying to or participating in the system, but also that the severity of the disability merits the payment of benefits. For SSDI claims, over 90% of individuals filing appeals have representation from disability claims lawyers. Although the approval rate for each level of appeals remains relatively low, an disability benefits lawyer is the best option at success. Without the services of a disability benefits lawyer, individuals may not be aware of what evidence will be able to help them and what they may have to prove to guarantee their success. In fact, they may present the same case through all stages of appeal until they exhaust their options and have to seek redress in federal court. Even in instances when all levels of appeal have failed and the benefits seeker must go to federal court, a disability claims lawyer represents the best chance for a client to win the benefits they are entitled to. Seek out free consultations with disability claims lawyers and be aware of federal limitations on the fees that these lawyers may collect. Limitations of up to 25% of award work in the benefit of the benefits seeker as it ensures that even the best lawyers will not be able to claim more than their fair share of the award in exchange for their assistance in the appeals process. In the long run, the fee collected by disability claim lawyers far outweigh the benefits of stable disability claim payments to which the claimant is entitled. If you are disabled and cannot work, you should get disability lawyers to help you get disability benefits. Most of the cases of disability are won by those who go to hearing with a disability lawyer. Those who are disabled stand a much better chance of actually winning their case if they use disability lawyers rather than if they try to go through the process alone. Most disability cases wind up at the hearing level. You stand a better chance of winning at the hearing level if you have disability lawyers behind you. Those who win disability benefits will receive a lump sum representing the date they were disabled from which the disability lawyer will take their fee. Having a disability lawyer gives those who are looking for this benefit a much better chance of winning their case.